Daily Maverick invites you to join us for an exclusive preview screening of Five Fingers For Marseilles, a rousing, heroic, original South African Western film. Screenings take place in Jo’burg on Monday March 26 and Cape Town on Wednesday March 28 at 8pm and tickets will be allocated on a first come, first serve basis. Marseilles was never free, but it will be. The community of Railway, attached to the remote town of Marseilles, are the victims of brutal police oppression and only the young ‘Five Fingers’ are willing to stand up to them. 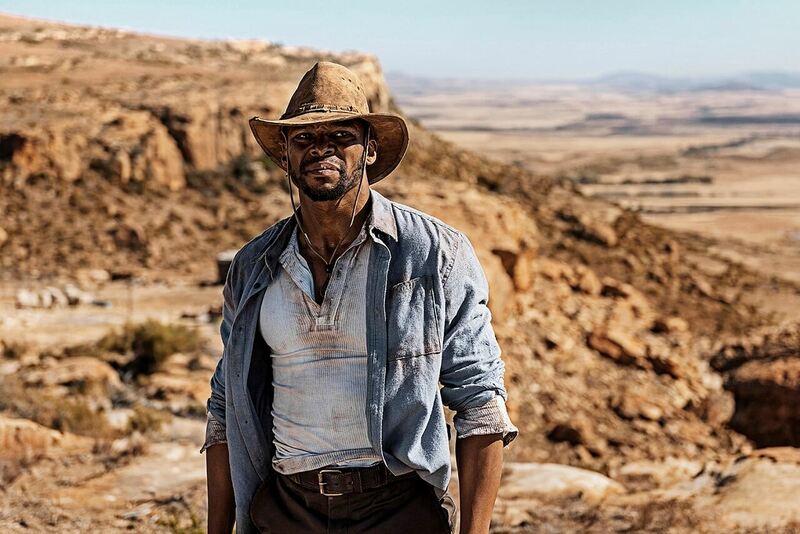 Their battle is heartfelt until hot-headed Tau (Vuyo Dabula) crosses the line and is forced to flee, leaving his brothers and friends behind, but his action has triggered a violent fight that will leave both Marseilles and the Five Fingers changed. Twenty years later Tau, now a feared and brutal outlaw, returns. But scarred and empty, he renounces violence and returns to Marseilles desiring only peace and to reconnect with those he left behind. It becomes clear that rather than the haven he hoped for, Marseilles is caught in the grip of a vicious new threat and to his dismay, his old allies themselves may have allowed it in. Tau can keep his head down only so long. When he and his loved ones become direct targets, he is reluctantly compelled to fight again, once and for all. Deadline for entries: Friday 23rd March midday for JHB screening and Tuesday 27th March midday for CT screening. Simply click here to reserve your seats. Tickets will be allocated on a first come, first serve basis. If tickets are available, you will receive a confirmation email with all the relevant information.